Clean room racks with roll-out shelving are popular with our medical manufacturing customers. 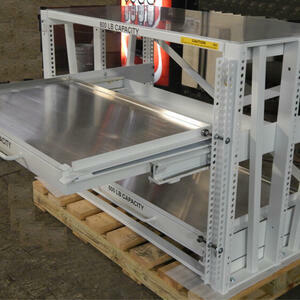 Stainless steel is used for all moving parts and shelf decks. Rack are finished with an industrial epoxy paint. 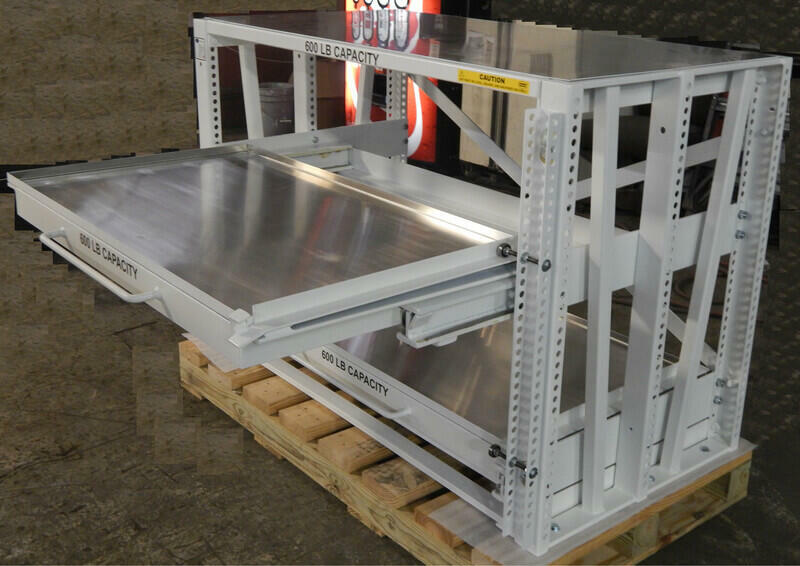 Fabricated to customer specification with choices of shelf size, load capacity and rack height.